For more than 10 years, Handraiser has been used by campaigns to help win elections and seen an amazing success rate. Here are a few of the features we know to be crucial to helping a campaign identify, activate and measure the participation of its voters. Handraiser is unique in its ability to leverage the friends & family relationships of your staff & volunteers to run a more effective campaign. Handraiser enables your staff and volunteers to identify voters who are either Friends or Family and with who they have a familiar relationship. Handraiser prioritizes outreach efforts so staff first contact their own Friends & Family. This increases the likelihood of a meaningful conversation and lowers stress on your staff as they are reaching out to people they know. 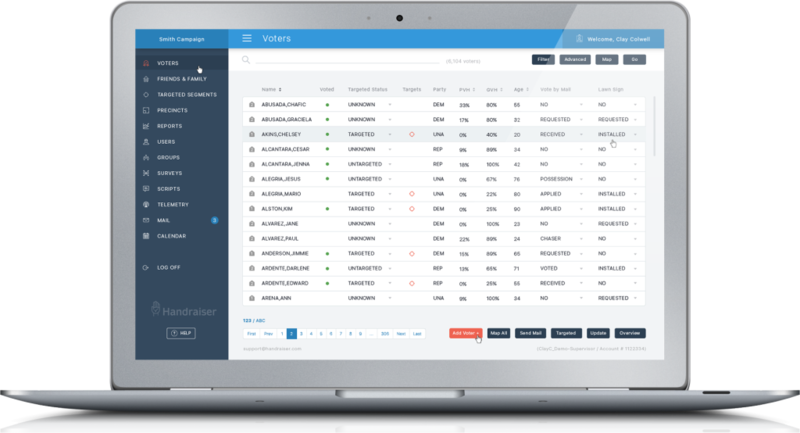 Handraiser has proven over many campaigns that contacts through familiar relationships significantly improves voter turnout and increases your chances of winning your campaign. Handraiser contains a wealth of information about your potential Voters, as well as enabling you to upload custom fields with your Voter data. Segmentation allows you to divide these voters into similar groupings for targeted messaging. You can segment voters based on all of this voter data, empowering you to target specific voter groups, such as 30-40 yr old males earning $50-150K who subscribe to Men’s Fitness. You can then customize your communication efforts based on voter interests and demographics. Segments can be used throughout Handraiser to manage outreach efforts. Assign segments to volunteers based on demographic similarities to target voters for increased conversion, matching voters with the most similar volunteers in your organization. Handraiser will create a map of the voters in a Segments so that your canvassers can be sure to visit the homes of your most valuable potential voters and encourage them to get out to vote. Reaching out to voters is often done through multiple methods of communication and Handraiser has you covered with anything you may need. Create email templates and customize them for very specific segments of your potential voters. Handraiser handles the personalization, sending & tracking of the emails. Send personalized SMS messages to your voter segments, engaging anyone with a cell phone in just a few seconds. 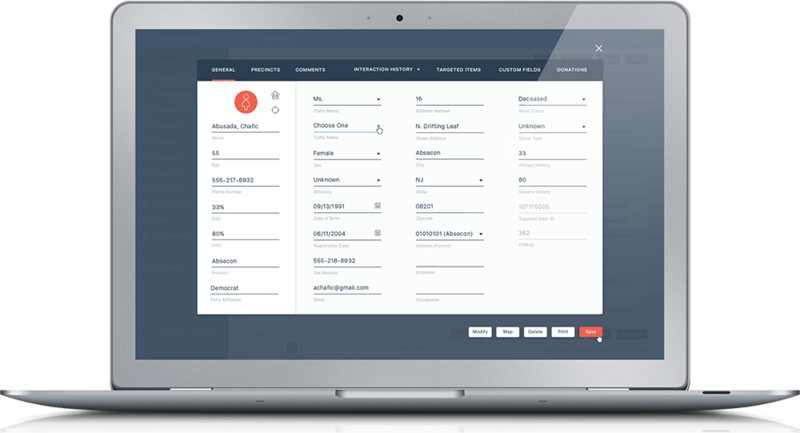 Call center volunteers can make calls directly from their browser with Handraiser’s embedded VOIP. Use custom scripts and questions, automatically populated with voter-specific details to add a personal touch to every call while still staying on message. 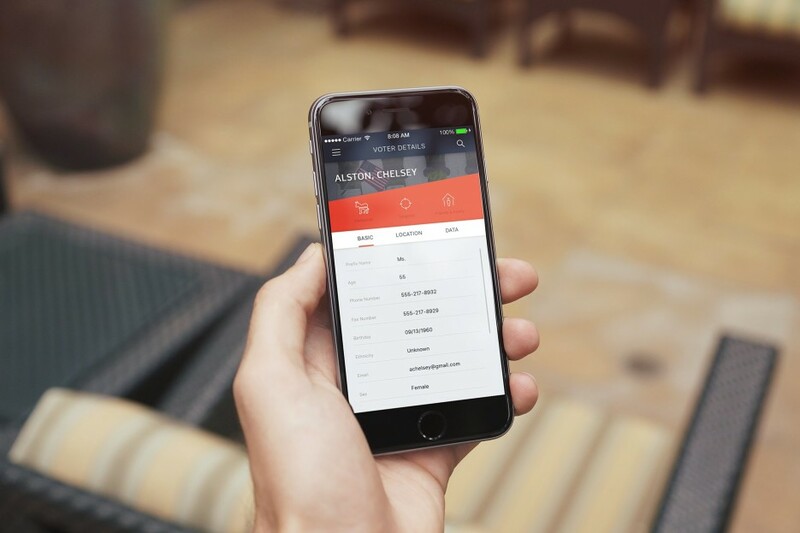 Available for both iOS and Android devices, Handraiser apps put the power of your voter database directly in your volunteer’s hands. Handraiser will guide your Canvassers to the locations of targeted voters you wish to talk with, making their routes and their time more efficient. Easily enter information from your voter visits directly into Handraiser, updating your voter information in your Handraiser database for future use. 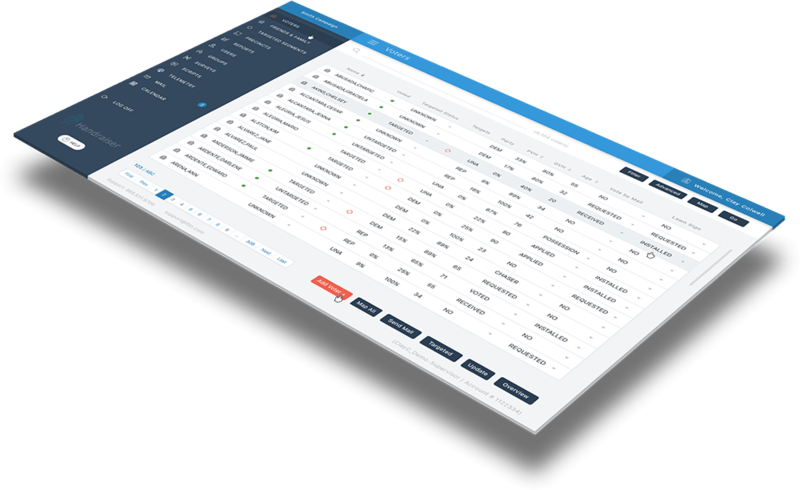 Your staff can capture live polling data right from their mobile device, allowing your team to see reports and results right in Handraiser as the information is entered. There is a lot of power in the Handraiser software and we would be happy to give you a personal walkthrough. Sign up below and we’ll show you how Handraiser can help you win your campaign.